Crisp morning waking to a glorious, sunny day here at Gerard Pinto’s bungalow. 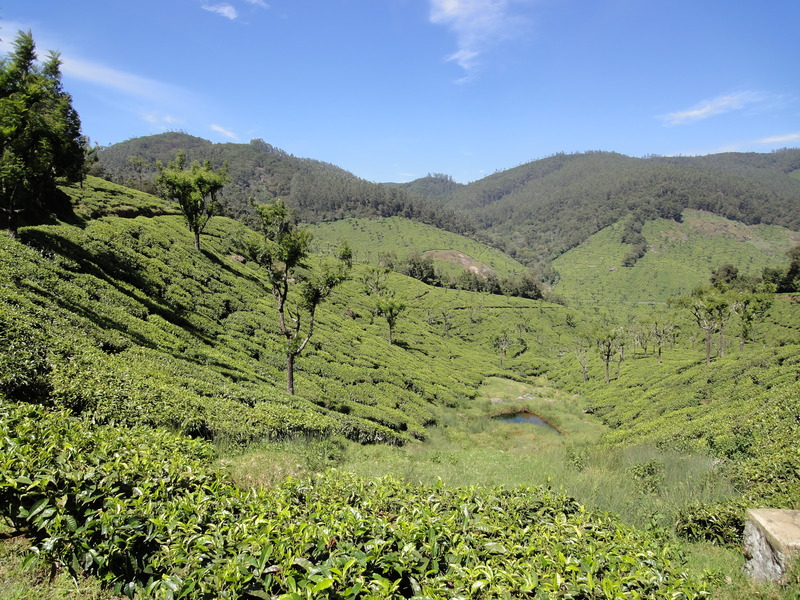 He has lived here almost 20 years and his property is surrounded entirely by gardens and the tea plantation itself. Last night we arrived here after a 7 hour drive from Bangalore. The drive took us from the state of Karnataka through to Tamil Nadu. We were able to see the town of Mysore and the famous palace built by the famed King of the city from the 14th Century. Into the evening we wound our way up the northern strip of the Nilgiri’s through the Tiger Reserve Mudumalai. Along the roadside we sited two male elephants feeding by the road, an indian bison, wild boar, a mongoose and various deer and elk. By 10 pm we were having dinner in Ooty at the Gateway Hotel amidst a wedding of two hundred between a Christian bride and Muslim groom. All fine with me, but seemed to be all the talk. And now, this morning the mist pulls back and reveals a morning of blue and green; full of tea and sky. We eat a quick breakfast and make our way up to Korakundah to see the garden, cup and try and find tigers or whatever else that is beyond the the garden boundary. This entry was posted in media, origin travel and coffee, ramblings, Uncategorized. Bookmark the permalink.